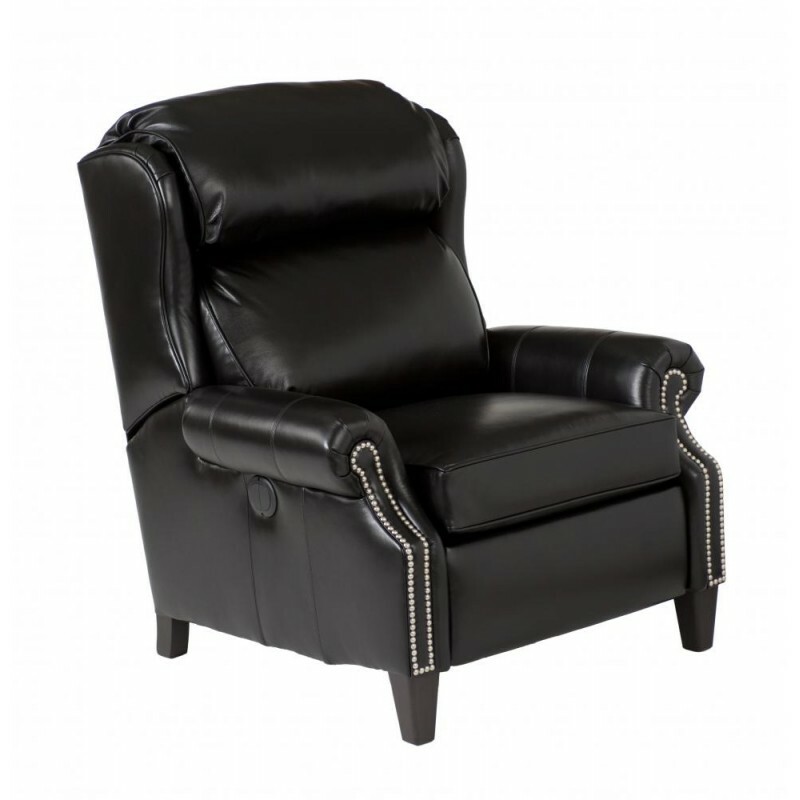 This recliner by Smith Brothers features a bustled wing back with panel arms, a straight cushion, and tapered legs. 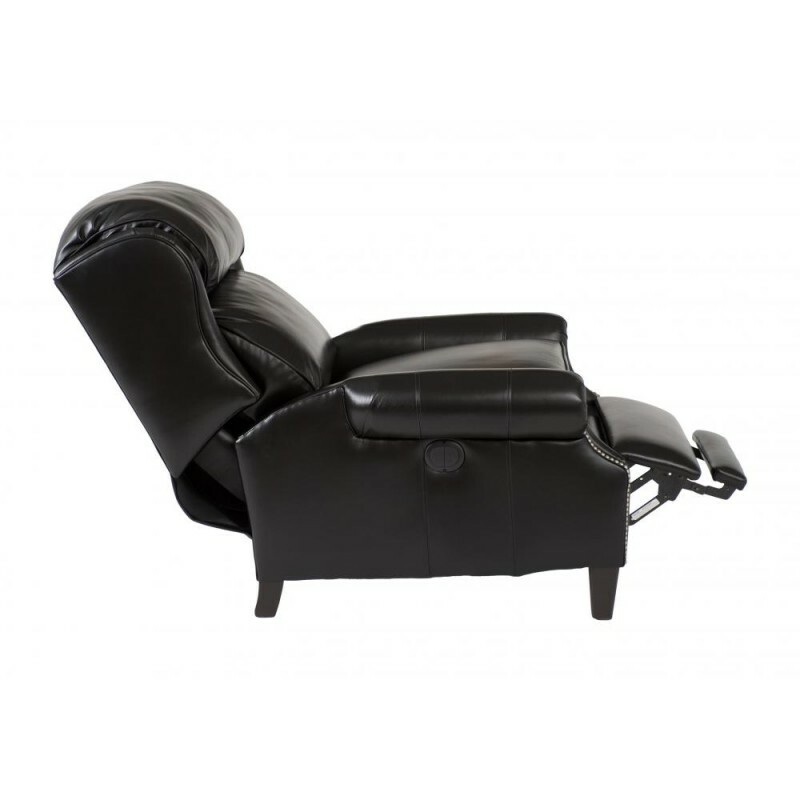 Add the power option for easy recline to an infinite number of reclining positions. Of course, this recliner is custom made for you from thousands of fabrics or hundreds leather choices by skilled craftsmen. Nailhead trim is available. *The recliner has a 20" seat depth and 20" seat height.